Where the Heck is Prince Edward Island? The first ever Zap Your PRAM conference will be held in Canada's beautiful island province of Prince Edward Island. We're located about 750 kilometers (~500 miles) north-east of Boston. 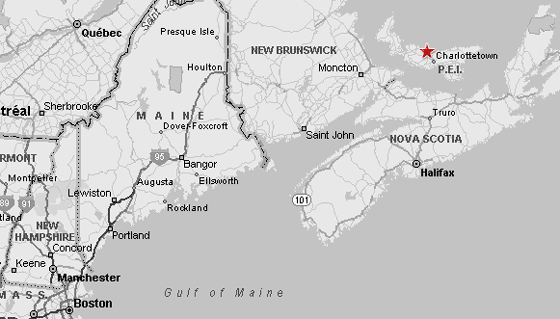 The closest major city is Halifax, Nova Scotia - a three-hour drive to the south. The PEI Visitor's Guide gives a nice introduction to the Island. The conference itself will be held in the north shore of P.E.I. 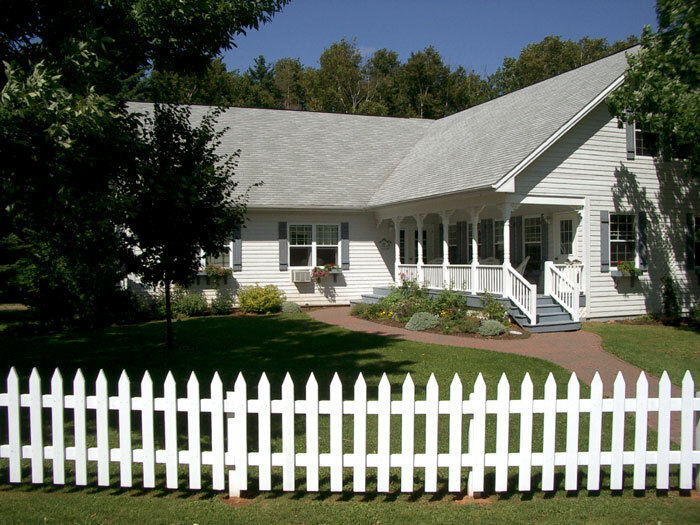 in the community of Cavendish at the Kindred Spirits Country Inn. We will likely also be having some goings-on in the capital city of Charlottetown as well. The weather in late October on our fair Island can vary significantly. You can have a beautiful day with short-sleeves, or you can get flurries. Plan for cool weather; long-sleeves, pants, and a warm jacket (you probably don’t need a parka). For more details on the weather, see What’s the Weather Like? at our Provincial Government website. If you are flying in, flights to Halifax tend to be much cheaper than direct-to-Charlottetown flights. If necessary, we can probably arrange for a van to do a mass-pickup in Halifax to people who are flying in. Avis is also offering special discount prices for conference attendees. Learn more and get their special code. JetsGo Flight #182 leaves Toronto at 9:00 a.m. on Friday, Oct. 24 and arrives Charlottetown, via Halifax, at 1:05 p.m.
JetsGo Flight #181 leaves Charlottetown at 2:00 p.m. on Sunday, Oct. 26 and arrives Toronto, via Halifax, at 4:35 p.m.
Current return fare on JetsGo, with taxes, is $367.11, which is pretty fantastic. The direct Toronto to Charlottetown Air Canada flight leaves Toronto at 1:00 p.m. on Aug. 24 and arrives at 4:00 p.m. The direct return leaves Charlottetown at 3:40 p.m. and arrives Toronto 5:10 p.m.
Return fare, with tax, is $384CDN, which is also pretty good (that's using the Air Canada "FUN" fare, which is partially changeable, and requires 14-day advance booking). Buzz reports that flying in from the states on Continental to Halifax (with the last leg being the Continental Express flight from Newark to Halifax) is very cheap. He can fly from Florida to Halifax for about $350US return.